Mohanlal Upcoming New Malayalam in 2013 and 2014 complete list is given here. Upcoming movies of Mohanlal are 'Gitanjali', 'Randamoozham', 'Lucifer', 'Mr. Fraud', 'Peruchazhi', 'Happy Singh' etc. Tamil and Kannada movies of Mohanlal are also ready for release. Read more about Mohanlal's new movies in detail below. Mohanlal has lot of upcoming Malayalam films in his hand. One of the best actors India have ever produced, he is still in demand after more than thirty years of acting. He has had bad time recently and that forced him to take a break from Malayalam films. After a long time, Malayalees will celebrate this Onam without a Mohanlal movie. Now the actor has slowed down the number of movies attempting, and started selecting the best possible movies from the offers he is getting. As a result the upcoming movies he has signed are of very high profile and sure to bring back those good days in his acting profession. Very promising projects are waiting for the legend in all languages including Malayalam, English, Hindi, Tamil and Kannada. He finished acting in Vijay starring Tamil movie 'Jilla'. Mohanlal is doing a pivotal role in the movie. Priayadarshan's 'Gitanjali', B Unnikrishnan's 'Mr. Fraud', Rajesh Pillai's 'Lucifer', Joshiy's 'D Company', VM Vinu's 'Happy Singh' are few upcoming Malayalam movies lined up for Mohanlal in 2013 and 2014. The complete list of Mohanlal's upcoming new Malayalam movies is given below. 'Gitanjali' is going to be a big treat for Mohanlal fans. There had not been any slight doubt that Mohanlal will don the lead role when Priyadarshan comes back to Malayalam, but his role in the movie is what every Mohanlal fan always wanted. Mohanlal reprises the role of psychiatrist Dr. Sunny in the movie. He had done this character before in famous 'Manichithrathaazhu'. 'Gitanjali' is not a sequel to 'Manichithrathaazhu'; it is another experience through which Dr. Sunny goes through. Mamta Mohandas and Keerthy Suresh are the heroines in the movie. Ganesh Kumar and Innocent also reprise their roles in this movie. Madhu and Sidhique are other main actors who are part of this movie. Shooting of 'Gitanjali' is currently progressing near Thiruvananthapuram. 'Gitanjali' will be Mohanlal's upcoming release. Dennis Joseph and Priyadarshan together penned the script of the movie. 'Gitanjali' is produced by G P Vijaykumar under banner Seven Arts International. 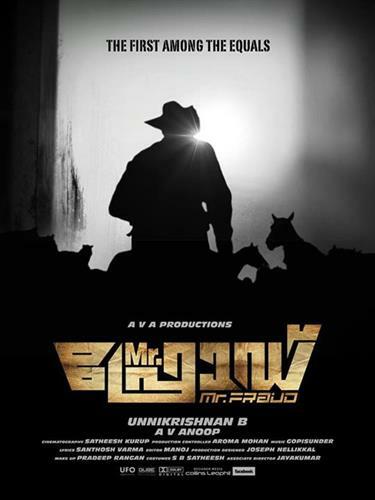 B Unnikrishnan and Mohanlal are ready for another movie titled 'Mr. Fraud' after the successes of their previous outings 'Grand Master' and 'Madambi'. The director himself is doing the script work of the movie. Mohanlal will appear in a slightly negative character in the movie. This is going to be another treat for his fans for the fact those negative roles Mohanlal ever done was superb and has a long lasting effect. It was earlier reported that Suresh Gopi dons will do a key role in the movie. The movie is produced by AV Anoob under the banner of A V A Productions. 'Lucifer' is another highly talked movie from Mohanlal. Mohanlal is joining hand with the director who brought the essential changes in Malayalam films- Rajesh Pillai, and one of the most sought after writer of the time- Murali Gopi. The pre-production works of the movie are ongoing. The scriptwriter has already stated that 'Lucifer' will be an ultimate entertainment for Mohanlal fans; it is essentially a movie for the fans to celebrate. Murali Gopi will also do a key role in this flick. 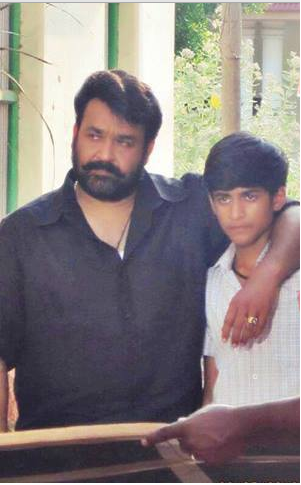 After 'Geetanjali', Mohanlal will join the set of 'Lucifer'. Tamil Director Arun Vaidyanathan is planning to direct a Malayalam film with Mohanlal in lead role. The movie is titled as 'Peruchazhy. 'Peruchachy' is a political thriller with the plot set at USA. Mohanlal's character in the movie is on his way to win an election. The movie will be completely shot in USA. The movie will go on floors next year. The most prestigious Malayalam movie to happen, 'Randamoozham' will have prominent actors from South Indian languages in pivotal roles. The movie is a film adaptation of MT Vasudevannair's famous novel under the same title. When Mohanlal dons the role of Bhiman, the main protagonist, Mammootty will appear as the villain, Dhuryodhanan, in the movie. Renowned director Hariharan will call the shots for the screenplay of M T Vasudevannair. The movie is hence very special for Malayalam- MT and Hariharan teams up, Mohanlal and Mammootty sharing screen together, adaptation of 'Randamoozham' and what not. Tamil acting legends like Kamal Hasan may also be seen in the movie. Mohanlal had done the role of Bhiman in drama 'Chayamughi' superbly. The critical acclamation he received from everywhere made it sure that there won't be any other name to pop up for Bhiman's role in 'Randamoozham'. The story of 'Randamoozham' is nothing but Mahabharatha told from the perspective of Bhima, who was always the treated as the second one in everything. Pre-production works of the movie are going on. The huge budget along with difficult casting has slowed the pre-production works. MT is penning the script. Now the director and script writer are busy with 'Ezhamathe Varavu', starring Indrajith. The works of 'Randamoozham' will start after they finish this project. Mohanlal will play the lead role in one of the short film in the anthology movie 'D Company'. This segment of the movie will be directed by Joshiy. It will be an action thriller like the other four. The first three segments will be released soon. The other two- one starring Mohanlal and other starring Prithviraj, will be released as part two later. It was rumored that Ranjith will write the script for this film. If Ranjith, Mohanlal and Joshiy join for a movie, it is going to break every records set in Malayalam. 'Happy Singh' is another upcoming movie of Mohanlal in which he will be seen in a new get up. Lalettan will don the role of a sardar in this flick. Directed by V M Vinu, 'Happy Singh' is tells the story of a sardarji who is very fond of wrestling. He visits Kerala to learn wrestling. The shooting of this movie will be located at Punjab and Kerala. Mohanlal has previously come up as a sardar in 'Run Baby Run' for a short time. Touted as an in and out comedy flick, 'Happy Singh' will be produced by Aroma Mani and has been scripted by Dipu Karunakaran.
' Aaru Muthal Arupatu Vare' is a comedy flick to be directed by Johny Antony. This movie is being penned by celebrated script writers Sibi K Thomas and Udayakrishna. Producer of the movie is Joy Thomas under the banner of Jithin Arts. There are few more Malayalam movies lined up for the star. Mohanlal will also teams up with famous action thriller direct P Anil for another movie of the same genre titled Memory Card. Memory Cardhas Mohanlal doing the role of an Ex-Military Intelligence Officer who runs security office in Hyderabad.Bollywood movie 'Kahani' fame Suresh Nair is excited to pen a movie for Mohanlal. He has discussed the thread with Mohanlal. Joshiy will be the director. Jeethu Joseph's movie is also in discussion for Mohanlal. Mohanlal will do the role of Nambi Narayanan in director Anand Mahadevan's Witch Hunt.It was rumored that Mohanlal would don the lead role in Ashiq Abu project titled 'Kodumkkattu'. Similarly Ranjith movie titled 'Planter Avarachan' was also rumored. But no further news related to these projects popped up then. Rajavinte Makan II will also go on floors next year. It will be a sequel to blockbuster movie 'Rajavinte Makan'. Apart from these Malayalam movies, Mohanlal will also be seen in some other language films. Tamil movie starring Viya in the lead role is the prominent among this. Titled as 'Jilla', it also features Kajal Agarwal as the heroine. Vijay enjoys a huge fan base in Kerala. When Vijay teams up with the ultimate superstar of Kerala, it is going to be a festival for the fans. Already Mohanlal's look in the movie has generated much hype. Jilla will be released next year. Mohanlal has already completed Mythri, a Sandalwood film. Puneeth Rajkumar is the hero of this film. Mythri also has another Malayalam face in it: Bhavan dons a key role in the movie. It has been reported that a Hollywood movie is lined up for the actor. Titled as Billion Dollar Raja, it tells the story of stock exchange genius Raja Rathinam. The movie is directed by Nayan Padrai. John Abraham has expressed his interest about making a Bollywood film with Mohanlal titled Jafna. Most of the upcoming movies of Mohanlal will have their releases in 2014. 'Gitanjali' will be the only release in 2013 for Mohanlal. Let these ambitious projects of the most versatile actor could bring the most out of him and set some new records in Malayalam.